An illustrator whose real name was Count Hans-Henning von Voigt, but who published under the pseudonym Alastair. 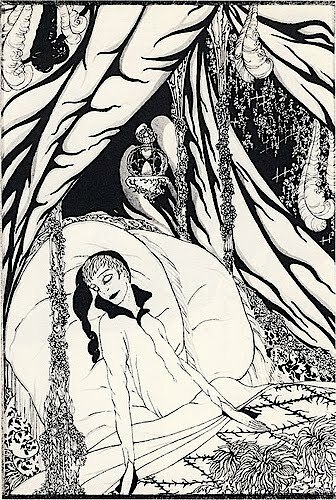 Born in 1887, he was a very late convert to symbolism , adopting in the twenties a decorative style heavily indebted to Beardsley years after the artist had died. He (not surprisingly ) illustrated Wilde and Pater , but also Frank Wedekind, the expressionist playwright whose sexually explicit plays scandalised the Weimer Republic. Movie buffs now admire him because he illustrated Wedekind’s Lulu, who was immortalised in Pabst’s film of the same name starring the exquisite Louise Brooks; Goths worship him (see their websites) because they see him as an ideological fellow traveller. "... a blackamoor ushered us into a room where their was a black piano with a single candle burning on it. Soon Alastair himself appeared in the doorway in a white satin suit; he bowed, did a flying split and slid across the polished floor to stop at my feet, where he looked and said, “Ah, Mrs Crosby !“. Soon afterwards he began what would become a fruitful relationship with Crosby and her husband Harry, who were about to launch the Black Sun Press. The twenties was the heyday of Alastair. His debut was a 1920 edition of Wilde’s The Sphinx, for which he contributed ten remarkable black and turquoise illustrations. For this you might expect to cough up around $800. This was followed by a commission from high class Munich publisher Georg Muller, who asked him to illustrate the two sumptuous posthumous limited edition volumes of Wedekind’s two Lulu plays, Erdgeist and Pandora’s Box, which duly appeared in 1921. 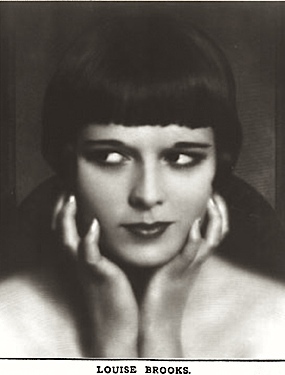 Although some films based on the Lulu character had already been made by this date, it is likely that the producers of the Pabst movie of 1927 had Alistair’s iconic depiction of Lulu in mind when they cast the gamine Louise Brooks in the title role. Because of this link, the two ‘Lulu‘ volumes are in great demand from cineastes, especially members of the Louise Brooks Society. My own copies (which are, incidentally, up for grabs) have their boards hand-blocked in a black, green and red honey-bee cell pattern and 24 extraordinary full page plates in black and red showing the artist operating in full Beardsley mode. Although these two volumes are among the most coveted of Alastair’s productions there were further triumphs to come. 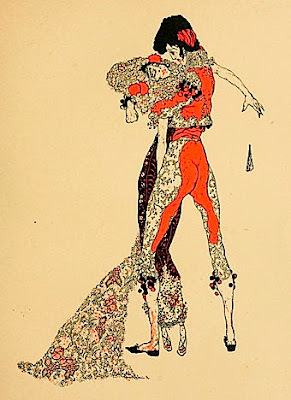 The nine illustrations which accompanied a French edition of Wilde’s Salome in 1922, are also in black and red. The fact that this was not a limited edition is reflected in the prices featured on ABE, which range from an amazingly reasonable $55 to a frankly silly $650. And if you lust for an original Alastair drawing for this book there is one available too on ABE at an eye-watering $17,500 ! In 1927 an edition of Walter Pater’s Sebastian van Storck included eight extraordinary plates by Alastair. The only copy currently on ABE has a superb cover which stylistically belongs at least 20 years earlier to the fag end of the aesthetic movement. In the same year, that first extraordinary meeting with Caresse Crosby developed into a fruitful partnership which resulted in at least four commissions. The first was to supply drawings for a limited edition of Poe’s Fall of the House of Usher, which appeared in 1928 under the Editions Narcisse imprint. For this, Alastair seems to have abandoned his familiar style for a more conventional, though hardly naturalistic, one. There is a copy on ABE for $600. When, not long afterwards, the Black Sun Press began to produce its beautiful hand-crafted limited editions, Alastair was asked to illustrated Harry Crosby’s own volume of poems, Red Skeletons, which remains one of the most sought after of the Press’s titles. An edition limited to 100 of Wilde’s The Birthday of the Infanta , complete with glassine wrapper (pay up to $2,872), also appeared in 1928. Laclos’s Les Liaisons Dangereuses followed in 1929. With the tragic suicide of Harry Crosby in this year Alastair’s association with the Black Sun Press seems to have faded. Certainly, it would appear that the opportunities to contribute drawings in the styles he favoured were becoming fewer after this date. 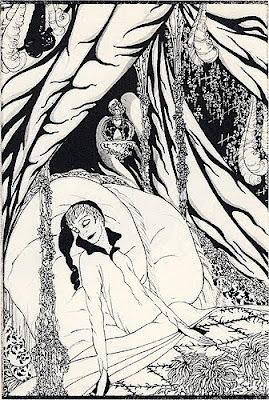 ...not to forget Count Fanny's Nuptials, whose illustrations are often misattributed to Beardsley and whose text is often misattributed to Firbank. P.S. Are your copies of the Wedekind plays viewable online? Many thanks -- I have not seen that Nuptials book for a while - not especially valuable and as you say not by Firbank, some say its publisher G.G. Hope Johnstone wrote it...will mention your interest to Robin. For a cheap access to Alastair, buy the Dover edition of his illustrations which came out last year. Quite definitive and excellent value. I have a set of the Black Sun Dangerous Liaisons in the remains of the silver foil slipcases. Can anyone recommend a restorer for these slipcases or is it not really worth it? If Alastair did illustrate Count Fanny's Nuptials ( and Maggs seems confident on this )he was an extraordinarily talented teenager.Is anything known of his association with Hope-Johnstone ? Count Fanny is certainly a curiosity as it would predate his other published work by 7 years, assuming the stated date of publication is correct. I haven't read anything to back up the attribution to Alastair and a lot of sellers still describe the drawings as Beardleyesque so who knows? It seems that Hope-Johnstone ended up marrying into the German nobility so perhaps there is some connection there? Incredible !! .... I have just been posting a couple of decent posts re Louise Brooks and here she pops up on yr blog too!! I am sitting here next to this evenings lending library bio on the very woman too. Yr blog is excellent, many thanks.